We offer a professional cleaning service for pre or post tenancies. As a landlord you can ensure your property is being rented in the very best condition. As a tenant you can ensure that the property is returned in a fully satisfactory condition* and you maximise the chances of your deposit being returned in full and in a timely manner. Our professional cleaning service can cover all interior aspects including kitchens, bathrooms, windows and carpets. We will happily provide a quote for all or any of our individual cleaning services. We are also happy to work as regular property maintenance contractors for letting agencies or larger landlords self managing. 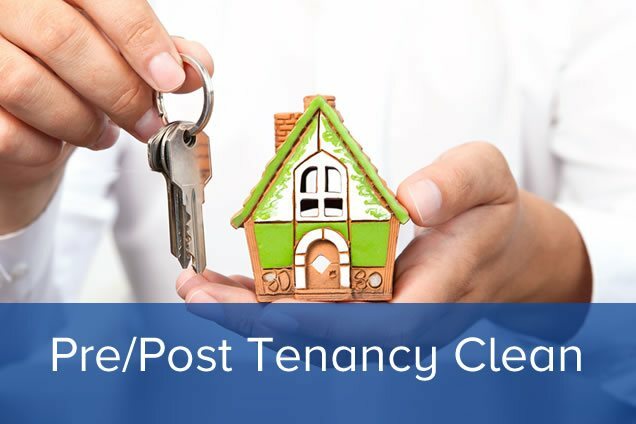 To save arguments and hassles many tenancy agreements will now stipulate the cleaning standards required post tenancy upfront and offer our services to prospective tenants in advance to cover and manage the cleanliness of the rental property. Please don’t hesitate to contact us now to discuss your individual needs in more detail. Our Post Tenancy Cleaning service is carried out by our fully trained and highly motivated team; our cleaning operatives have vast experience from working in various properties that need thorough deep cleaning, either at the beginning or end of a tenancy. Our Operatives are always well prepared and equipped with all the products & equipment that may be required. At T&H we are well aware of estate agents, landlords and tenants expectations after completing hundreds of Post Tenancy Cleans. When booking a Post Tenancy Cleaning service with T&H you can be assured that every inch of your property will be professionally cleaned, sanitized and polished to show home standard. Of course everyone requirements are different, so we will always survey works before a quotation is given and discuss what level of cleaning is needed for your handover. All glass cleaning (furniture tops, mirrors, picture frames etc.) with relevant products.